PREREGISTER for the 10th Annual Tyler Shipman Memorial Car Show! $10 to Preregister. $15 to Register on the day of the show! Please email the make, model, year and any extra information you would like listed about your car on your personalized vehicle ID card to: payitforwardfortyler@gmail.com after paying for registration. thank you! Thank you for choosing to sponsor the Tyler Shipman Memorial Car Show and making a difference in the #PayItForwardForTyler movement. All sponsors have the opportunity to have their logo on our website and t-shirt. Sponsors will be recognized at our show as well. Silver, Gold and Platnium will receive a coupon code towards show merchandise. If you need a tax deductible receipt, please DO NOT pay online. Send a check made to: FACC, TS Car Show in memo, 41906 Cty Rd 122 Frazee, MN 56501. 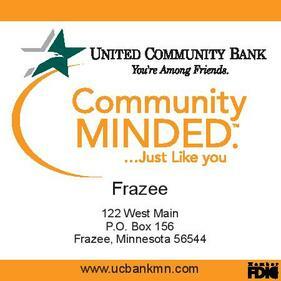 Our car show operates under the banner of the Frazee Area Community Club which is a 501(4)c nonprofit. Thank you from our family to yours for a great 2018 Show!